Thats all. Game finished - Lyon 3, Amiens 0. Second Half ended - Lyon 3, Amiens 0. Missed chance. Jordan Ferri - Lyon - shot with right foot from outside the box is high and wide to the right. Assist - Bertrand Traoré. Nabil Fekir - Lyon - won a free kick on the right wing. Gaël Kakuta - Amiens - won a free kick in defence. Memphis Depay - Lyon - won a free kick in defence. Missed chance. Guessouma Fofana - Amiens - shot with right foot from outside the box is high and wide to the right. Assist - Bakaye Dibassy. Substitution - Lyon. Maxwel Cornet for Tanguy NDombele. Ferland Mendy - Lyon - won a free kick in defence. New attacking attempt. Nabil Fekir - Lyon - shot with right foot from outside the box is saved in the left corner. Assist - Jérémy Morel. Offside - Amiens. Oualid El Hajjam with a pass, however Gaël Kakuta is in offside. Goal! Lyon 3, Amiens 0. Bertrand Traoré - Lyon - shot with right foot from the centre of the box to the left corner. Goal! 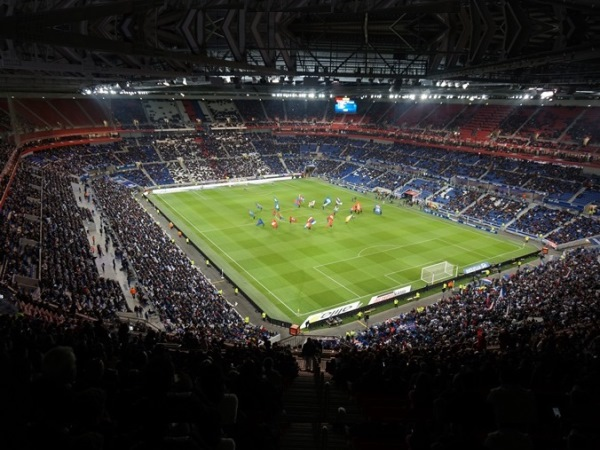 Lyon 2, Amiens 0. Memphis Depay - Lyon - shot with right foot from few metres to the right corner. Assist - Bertrand Traoré with a cross. John Stiven Mendoza - Amiens - won a free kick on the right wing. Missed chance. Tanguy NDombele - Lyon - shot with right foot from outside the box goes high. Assist - Nabil Fekir. Substitution - Amiens. Quentin Cornette for Harrison Manzala. Missed chance. Lucas Tousart - Lyon - shot with right foot inside of six yard box - left side missed. Assist - Jordan Ferri with a cross after corner. Corner - Lyon. Conceded by Régis Gurtner. Substitution - Lyon. Jordan Ferri for Houssem Aouar. Shot blocked. Memphis Depay - Lyon - shot with right foot from outside the box is blocked. Assist - Houssem Aouar. Substitution - Lyon. Nabil Fekir for Mariano. Lucas Tousart - Lyon - won a free kick in defence. Missed chance. Harrison Manzala - Amiens - shot with right foot from the centre of the box missed to the left. Assist - John Stiven Mendoza with a cross after corner. Corner - Amiens. Conceded by Jérémy Morel. Missed chance. Mariano - Lyon - shot with left foot from the centre of the box is high and wide to the left after corner. Shot blocked. Lucas Tousart - Lyon - shot with the head from few metres is blocked. Assist - Marcelo. Shot blocked. 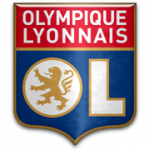 Houssem Aouar - Lyon - shot with the head from the right side of the six yard box is blocked. Assist - Memphis Depay with a cross. Corner - Lyon. Conceded by Bongani Zungu. New attacking attempt. Bertrand Traoré - Lyon - shot with left foot from the centre of the box is saved by goalkeeper in the centre of the goal. Assist - Memphis Depay. Substitution - Amiens. Guessouma Fofana for Serge Gakpé. Missed chance. Marcelo - Lyon - shot with the head from the centre of the box is high and wide to the right. Assist - Memphis Depay with a cross after corner. New attacking attempt. Memphis Depay - Lyon - shot with right foot from the right side of the box is saved by goalkeeper in the centre of the goal. Assist - Mariano. Missed chance. Mariano - Lyon - shot with right foot from outside the box goes high. Assist - Houssem Aouar. New attacking attempt. John Stiven Mendoza - Amiens - shot with the head from the centre of the box is saved in the right corner. Assist - Thomas Monconduit with a cross. Substitution - Amiens. John Stiven Mendoza for Moussa Konaté. Rafael - Lyon - won a free kick in defence. Missed chance. Bertrand Traoré - Lyon - shot with left foot from the right side of the box is close, but missed to the left. Assist - Mariano. Régis Gurtner - Amiens - won a free kick in defence. New attacking attempt. Marcelo - Lyon - shot with the head from the centre of the box is saved in the right corner. Assist - Memphis Depay with a cross. Corner - Lyon. Conceded by Bakaye Dibassy. Serge Gakpé - Amiens - won a free kick on the right wing. Houssem Aouar - Lyon - won a free kick in defence. Missed chance. Gaël Kakuta - Amiens - shot with left foot from outside the box goes high from a free kick. Second Half starts Lyon 1, Amiens 0. First Half ended - Lyon 1, Amiens 0. Shot blocked. Tanguy NDombele - Lyon - shot with left foot from outside the box is blocked. New attacking attempt. Memphis Depay - Lyon - shot with the head from the centre of the box is saved in the right corner. Assist - Rafael with a cross. Corner - Lyon. Conceded by Khaled Adénon. 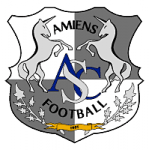 Thomas Monconduit - Amiens - won a free kick in defence. Goal! Lyon 1, Amiens 0. Mariano - Lyon - shot with right foot from the centre of the box to the left corner. Assist - Memphis Depay. Corner - Lyon. Conceded by Prince. Bertrand Traoré - Lyon - won a free kick in attack. New attacking attempt. Harrison Manzala - Amiens - shot with left foot from the left side of the box is saved by goalkeeper in the centre of the goal. Assist - Serge Gakpé with a through ball. Missed chance. Bertrand Traoré - Lyon - shot with left foot from outside the box is close, but missed to the left. Assist - Mariano. Harrison Manzala - Amiens - won a free kick in defence. Corner - Amiens. Conceded by Marcelo. Missed chance. Bertrand Traoré - Lyon - shot with left foot from the right side of the box is high and wide to the left. Missed chance. Tanguy NDombele - Lyon - shot with left foot from the centre of the box is high and wide to the left. Assist - Bertrand Traoré. Shot blocked. Marcelo - Lyon - shot with right foot from the centre of the box is blocked. Assist - Memphis Depay with a cross. Corner - Lyon. Conceded by Harrison Manzala.